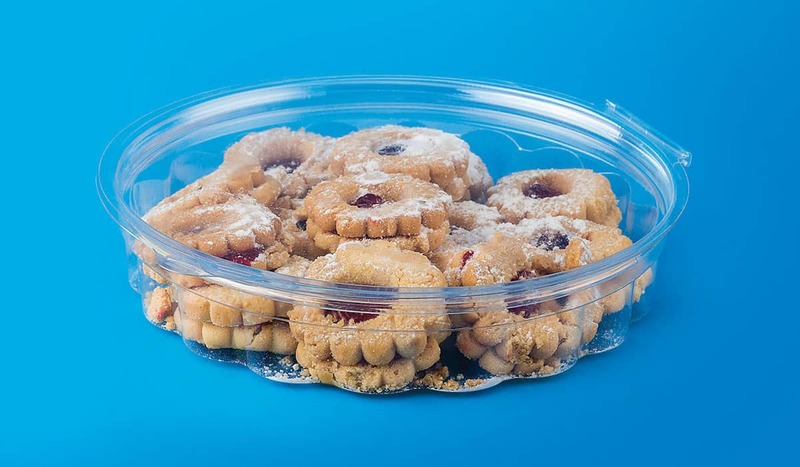 High quality clear PET round hinged lid containers. Ripple shape walls. Leak proof. Quick & easy closing/openning. Available in 5 different heights.